At the law firm of Robert Christian Rutledge, PC, in Rome, Georgia, attorney Rutledge focuses on criminal law. Why? Because he knows how negatively criminal charges affect his clients’ reputations, finances and employment opportunities. He also knows their freedom often is at stake. He therefore sees it as his duty and his privilege to aggressively and tenaciously defend their constitutional and other legal rights. Attorney Rutledge can provide representation with years of both trial and appellate experience to clients who come not only from Rome, but also from Cartersville, Cedartown, Dallas and Summerville; Floyd, Bartow, Chattooga, Paulding and Polk counties; and throughout northwest Georgia. Meet Robert Christian Rutledge, Esq. Born and raised in Marietta, Georgia, Robert Rutledge earned his Juris Doctor at the University of Georgia School of Law. 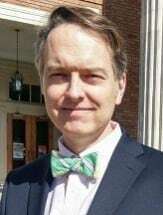 After serving in the Rome Circuit Public Defender’s Office for several years, where he represented thousands of Floyd County citizens, he then brought his experience and skill to establish Robert Christian Rutledge, PC. Attorney Rutledge now represents people from all over Northwest Georgia who need a strong advocate to protect their rights when facing criminal charges. In addition to extensive trial experience, attorney Rutledge is proud to have obtained many dismissals and reduced charges for his clients, and he has taken many cases to the Court of Appeals of Georgia, obtaining some major reversals. He has also argued before the Supreme Court of Georgia and filed petitions for writs of certiorari both there and in the Supreme Court of the United States. His law firm offers free initial consultations to all prospective clients.